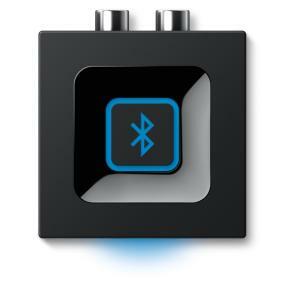 Logitech Bluetooth Audio Adapter. Make your speakers Bluetooth speakers. Simultaneously pair your smartphone and tablet—and stream your favorite songs from either one. Connect your mobile device to your speakers with one press of the Bluetooth pairing button and you’re ready to listen. From then on, re-pairing is automatic for a hassle-free experience. 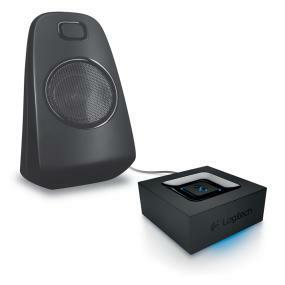 It connects to any powered speakers with a standard plug-and-play 3.5 mm or RCA connection—PC speakers, your home stereo system, even your A/V receiver. Relax in your favorite chair and control your music with a reliable line-of-sight connection up to 15 meters (50 feet) away from your speakers. Don’t compromise on sound, either. 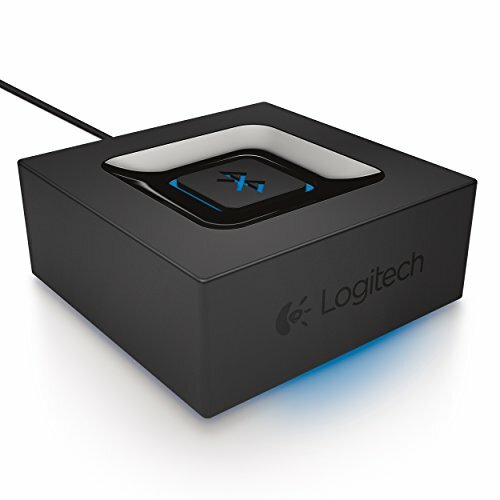 The Bluetooth Speaker Adapter is perfectly tuned at Logitech audio labs to deliver high-quality acoustics for all your music, movies and games.